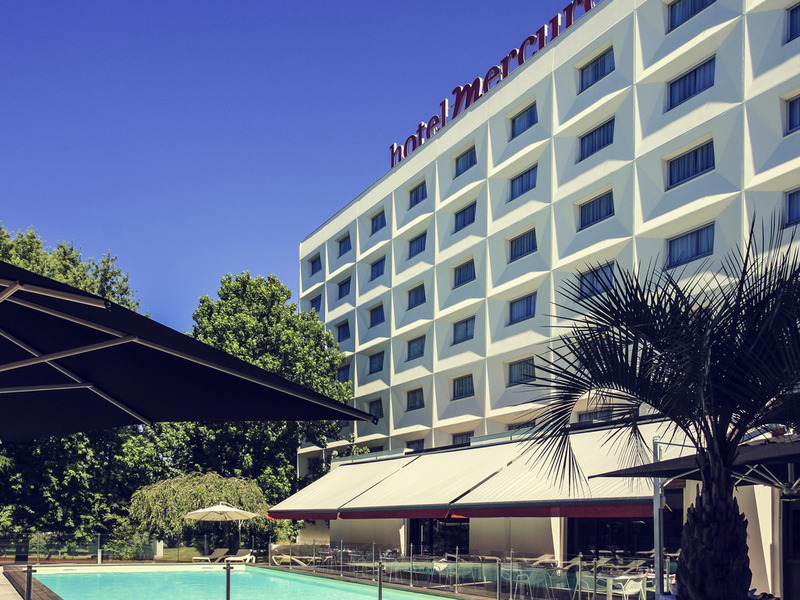 Close to the Palais des Congrès, Parc des Expositions and Stade Matmut Atlantique, the Mercure Bordeaux Lac hotel warmly welcomes you to a modern setting. The hotel is directly connected by tramway to downtown Bordeaux, a city of gastronomy and oenologica l exploration. Add a cultural note to one of your seminars at this Mercure hotel. Discover our recently renovated Superior Rooms. You can also stay as a family thanks to our Superior Room with sofa. All our rooms are spacious and have free WIFI connection. Suite - 1 king-size bed. Discover our new brasserie and try our range of seasonal dishes. Enjoy relaxing in our bar lounge where you can choose from our selection of Mercure wines and drinks.